The old way of doing IT at The LEGO Group was very much “we decide how you work,” said Michael Loft Mikkelsen. But things are changing at the family-owned company based in Billund, Denmark. One big change is the growing number of Mac users among the 17,000 worldwide LEGO employees. Driving the change is LEGO’s corporate mission. 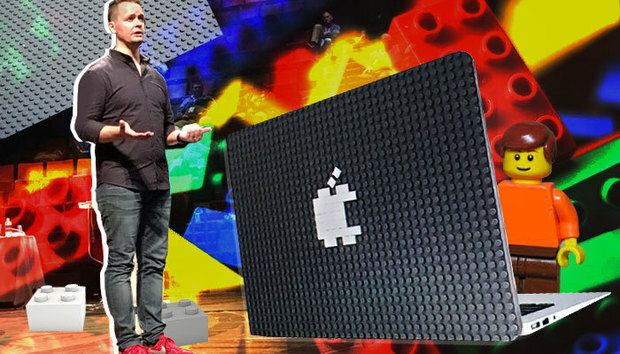 Over the last several years, LEGO has deployed about 700 Macs, primarily to employees in creative roles, such as designers and product developers. LEGO realized it needed to rethink how Macs were being managed and supported. Mac users wanted access to the same resources as the PC community – timely support and a proper software catalog, for example. But LEGO lacked a true enterprise management solution for Macs, and it didn’t have enough IT pros with deep technical skillsets on the platform. Loft Mikkelsen joined LEGO in 2015, and the company set out to streamline its Mac environment. Culturally, part of the challenge was overcoming biases. For its technical overhaul, the company considered two strategies: piggybacking a Mac management layer onto its existing environment for managing the PC infrastructure, or implementing Jamf’s dedicated Apple device management platform. The IT team created two full test environments to evaluate each approach. Team members then compared the capabilities and shortcomings of each in a matrix that weighed categories such as asset management, software distribution, security, reporting and supplier support. “It was crucial that this was a team decision. We needed everyone on board,” Loft Mikkelsen said. “Our technical analysis, and the human aspect, both pointed in the same direction. For us to gain the full benefit and value, we had to choose Jamf,” he said. Today, LEGO is nearing the end of its three-phase rollout of its new enterprise mobility management infrastructure, centered around Jamf. Loft Mikkelsen offered some advice for companies that might be considering a similar project.